This Thinking Outside the Box is an Interview Question. Interviewer now a days ask some quick puzzles to test out of box thinking of candidates. This is one such question in which you have to think outside to box to come up with a valid solution. 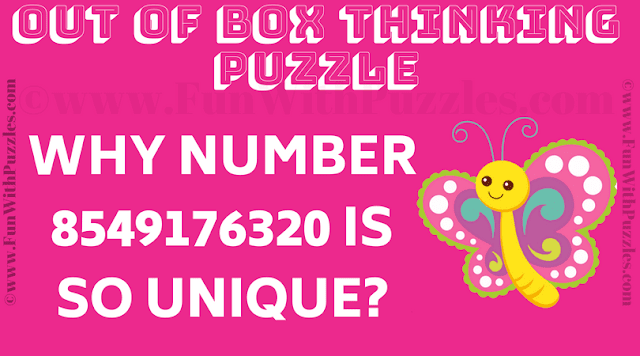 Can you answer this Out of Box Thinking Puzzle? Answer of this "Thinking Outside the Box Interview Puzzle", can be viewed by clicking on answer button. Please do give your best try before looking at the answer. All numbers(0-9) appears in alphabetical order and once.